A snail named Turbo. How ironic? The movie has includes the voices of some heavy hitters, including Ryan Reynolds, Paul Giamatti, Ken Jeong, Maya Rudolph, Ben Schwartz, Snoop Dogg and Samuel L. Jackson. I'm sure we will all be in for a treat. 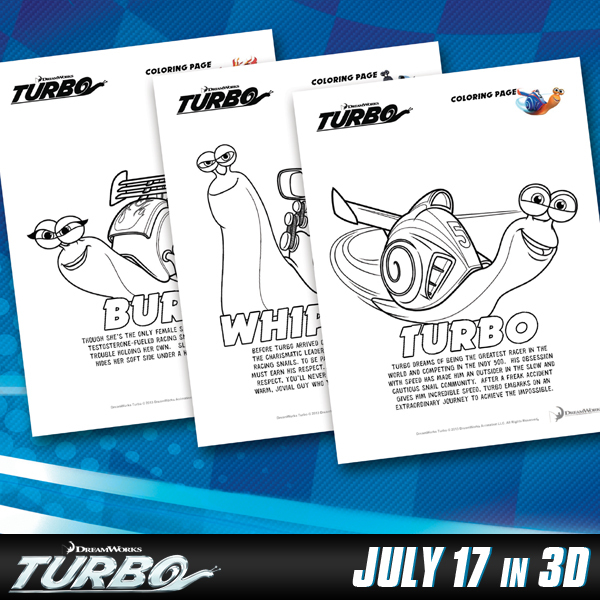 If you're looking for even more ways to entertain the children until the release of the movie, here are some printable coloring pages for your pleasure. Click here to download them. 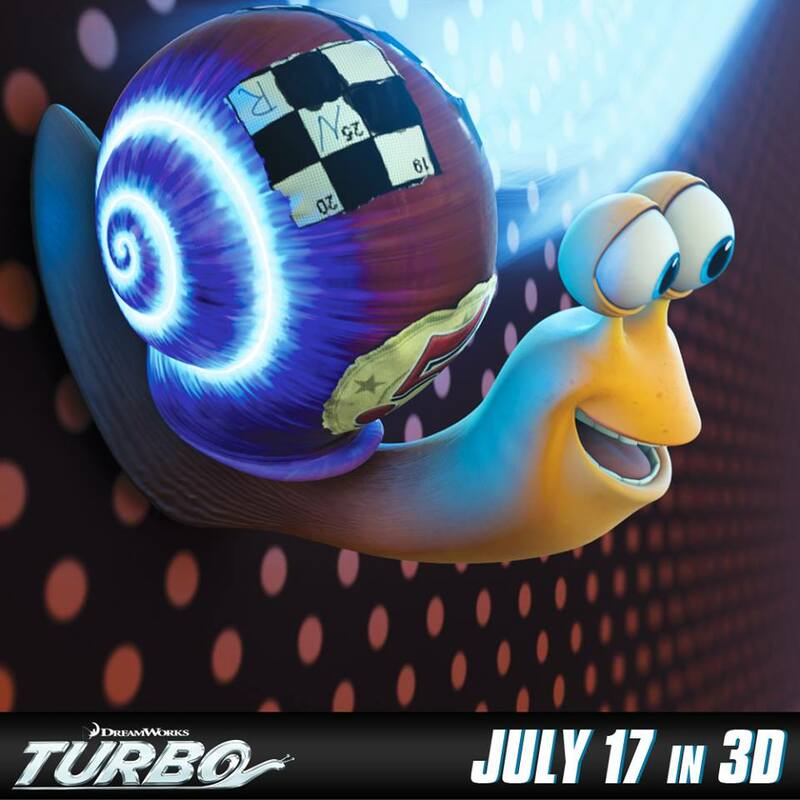 If you want to get a head start on all the fun that Turbo is sure to bring and stay in the loop, here is a bit more information. Be sure to come back later next week for a Turbo giveaway! I was provided a gift card for my time thanks to 20th Century Fox. The opinions and views are my own.